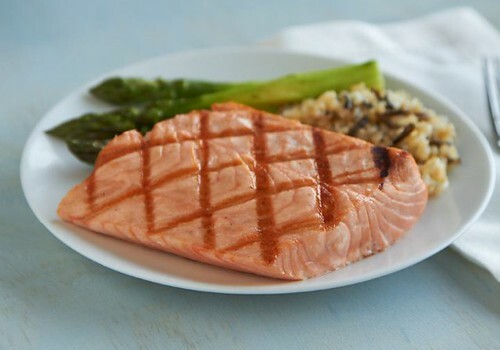 Verlasso salmon is both kid-safe and tasty too! You know seafood is good for you and your family, but you want to make the absolute best choices when it comes to the kids. Truth is – for most adults the health benefits of eating a variety of seafood outweigh the risks of occasionally eating fish that contain contaminants.1 But for growing children, the best choices will be low in contaminants and high in omega-3s. Delicious New Year’s Resolutions in Under 30 Minutes! Eat healthy food. Lose weight. Get fit. Manage stress. Quit smoking. Sound familiar? These popular (and admirable) New Year’s resolutions have one thing in common: They all improve your quality of life and sense of well-being. That’s worth working for – for you and for your loved ones! Now, changing the way we behave takes a will, a way, and some inspiration along the way to stay motivated! 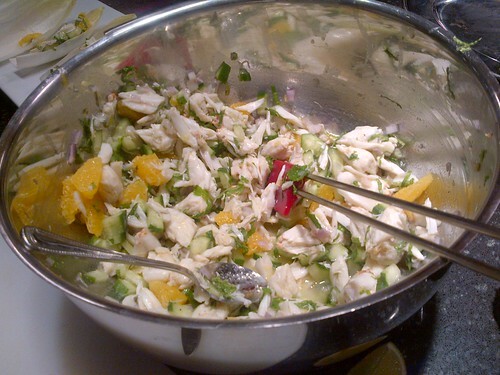 This beautiful crab salad placed on endive leaves makes for a healthy alternative. Is it weird that the holiday season makes me look forward to spending some quality time in the kitchen? If that’s wrong, I don’t want to be right. I tend to prefer fresh flavors, bright colors, and foods that won’t make me feel heavy or comatose after eating. Enjoy the holiday season without suffering food hangovers. It’s easier than you think to make crowd-pleasing dishes that you won’t regret in the morning. Now that the days are growing shorter and weather has become cooler, the selection of farm-fresh vegetables is becoming heartier. As our thoughts turn back to the kitchen, our friends at Everyday Food magazine have provided a bounty of great tips for using and enjoying autumn’s most delicious in-season produce. From warming soups to simple roasted vegetable side dishes, you’ll find great ideas to warm your kitchen with irresistible scents and delicious flavor. Floyd Cardoz's Watermelon Salad is a perfect salad for summer! Were you as happy as we were when Floyd Cardoz won Top Chef Masters? We were ecstatic when the chef behind our Tabla meals became the Season 3 winner. So to celebrate National Watermelon Day (today! ), he sent us this fresh, vibrant watermelon salad recipe to share with you! This salad pairs especially well with Chef Cardoz’s Spicy Black Pepper Shrimp. Summertime means that zucchinis are in abundance. Because they are in season, zucchinis are both tasty and very affordable right now. Usually I love to stir-fry zucchinis with other seasonal vegetables or make ratatouille with crusty bread and salad. 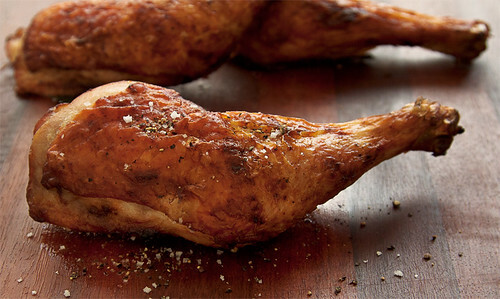 It’s officially hot — which means I need to officially avoid turning on my stove-top or oven to get dinner on the table. For some reason, I’ve been clinging to the idea that I can handle cooking in my small-ish Brooklyn kitchen when it’s 80° outside — but the only things coming out of that kitchen right now are rushed, mediocre dinners and a very grumpy, sweaty me. What’s Cooking? Food for the 4th! Where will you be when the fireworks go up… and more importantly, what will you be eating? Thankfully, Independence Day falls on July 4th every year, otherwise, we might have had to create a national summer picnic holiday instead. While we stop to mark our nation’s birthday, we can also celebrate this moment when the real summer bounty begins to appear. Fresh local herbs and greens make salads exciting. 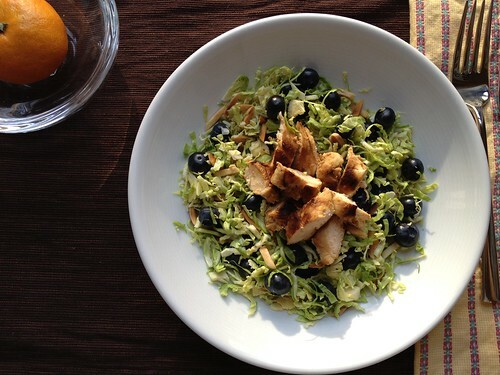 New crops of zucchini and berries add pizzazz to mealtime. And who can resist the lure of a crisp, sweet slice of watermelon? We’ve gathered five delicious inspirations for your weekend festivities: enjoy picnic-ready salads, an easy grilling favorite and a classic chocolate indulgence for dessert….